One Mom's Moxie: $30 Walmart Gift Card 4 Hour Flash Giveaway!!! 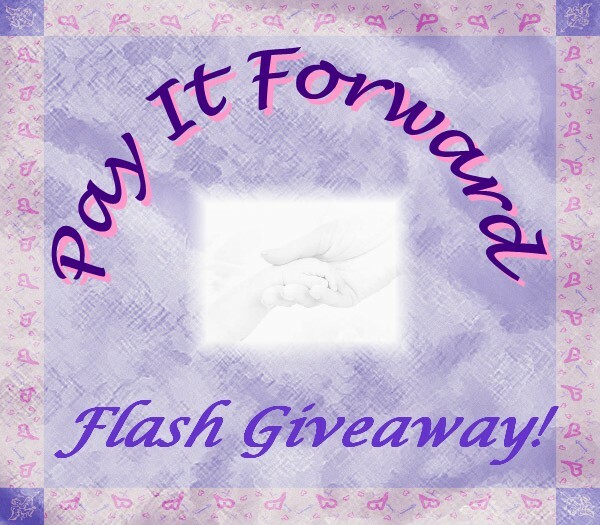 We want to Pay it forward to our fans! A small, wonderful group of bloggers have come together bring you this 4 hour flash giveaway! $30 Wal-Mart Gift Card (or winner can choose Paypal) - Easy entries! Don't miss out come & enter this flash giveaway ends @ Midnight EST! Here are all the fantastic bloggers who have contributed to bring you this flash giveaway! Remember you can't win if you don't enter! Must be 18 years of age or older and a US or Canadian resident to enter. I usually buy groceries at Walmart. I prefer Paypal cash because I can use it anywhere! I like to buy groceries at walmart especially since they allow overage and they price match. I would use it for groceries at Walmart.